The company announced today that an organic turkey will cost $3.49/lb, while an antibiotic-free turkey will cost $2.49/lb. Prime members can save an extra 50 cents per pound on both turkeys, in addition to savings on other foods for holiday entertaining. 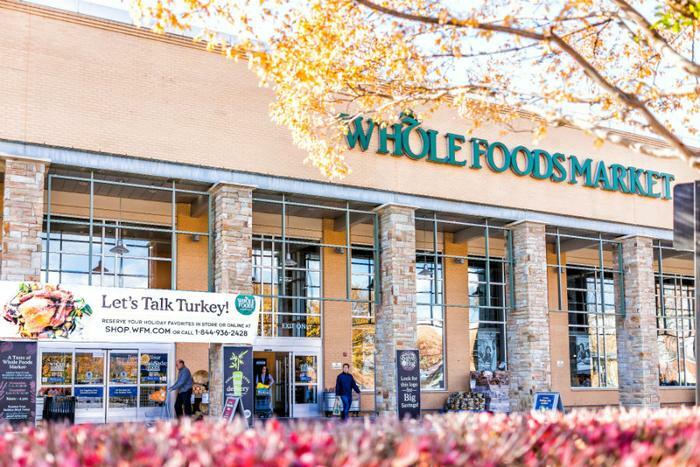 “This Thanksgiving, Whole Foods Market and Amazon are working together to deliver exceptional value and quality to all our customers, with even more savings for Prime members,” A.C. Gallo, President and COO at Whole Foods Market, said in a statement. Amazon is hoping to get more consumers to sign up to become Prime members by offering $20 off their next Whole Foods in-store purchase of $20 or more when they join Prime. Whole Foods is also extending its pickup and delivery times via Prime Now in select cities. On Thanksgiving Day, pickup is available until as late as 1 p.m. and delivery will be available as late as 2 p.m.
Customers can also reserve their turkeys in advance at wholefoodsmarket.com. Amazon notes that its digital assistant Alexa can fill Prime members in on the latest Prime deals at Whole Foods Market. Customers can simply say, “Alexa, what are my Whole Foods deals” to hear the latest. Amazon, which acquired Whole Foods Market in 2017, announced earlier this month that all customers -- not just Prime members -- can get free shipping without a minimum purchase requirement for the duration of the holiday season.